Not just any old hotel bar. As I walk in to the reception of the The Kensington hotel, the low hum to my left is unmistakable: the sound of a lively bar, where people are having fun. There’s no more inviting noise in the world. 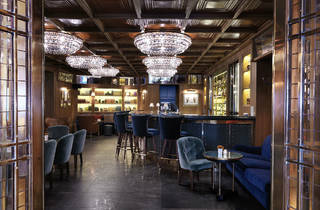 At early evening, The K Bar benefits from guests either returning or preparing for a night out. Either way, they’re after top-notch drinks and have come to the right place. 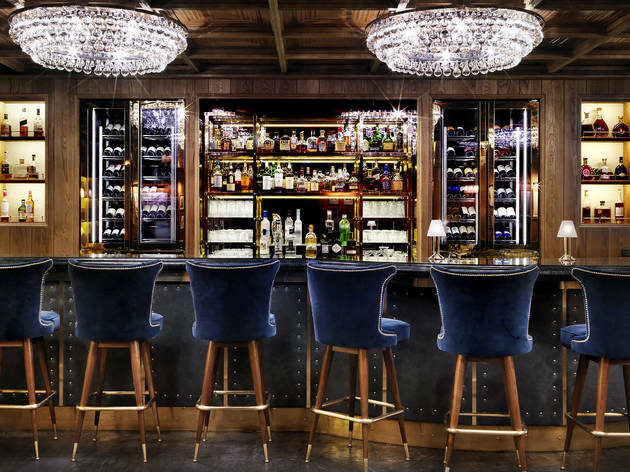 Table service is as good as you’d expect from a quality hotel, with oak-panelled walls and a marble-topped bar adding to the air of opulence. It’s a relatively small area and despite large, comfy sofas lining the walls, you might struggle to find a seat at peak times. But that all adds to the aforementioned buzz, really. 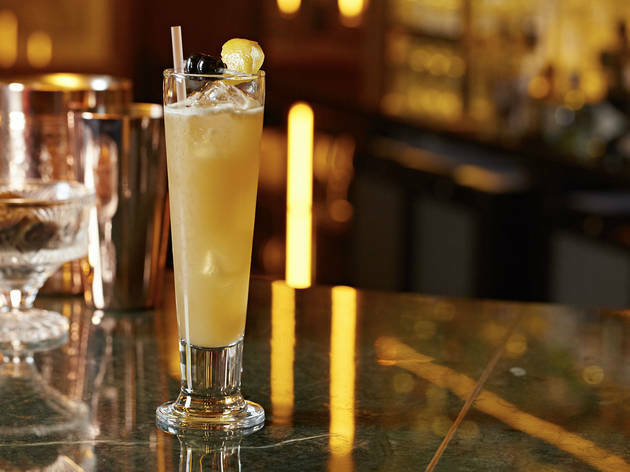 Cocktails, meanwhile, are competitively priced and, above all, expertly mixed. 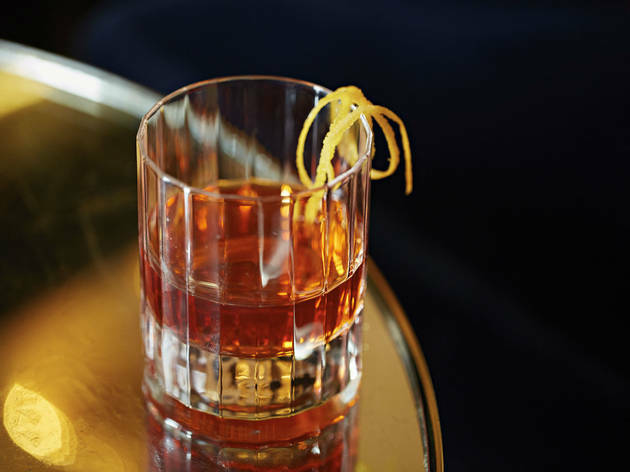 My Sazerac (£10) was ‘almost’ as good as you’d get anywhere in London – and that’s saying something in a city that’s fully embraced the Louisiana drink. For the nightcap crowd, there’s even a menu of dessert drinks (such as the Crème Brulée Martini, sweet tooth required). What’s clear is that standards here are set high. Given west London’s dearth of decent cocktail bars, this could be either a blessing or a curse. As The K Bar’s head barman points out, ‘People usually like to move on when they go out. But when they come here there’s nowhere near for before or after.’ My tip? Stay at The K Bar for one more instead. 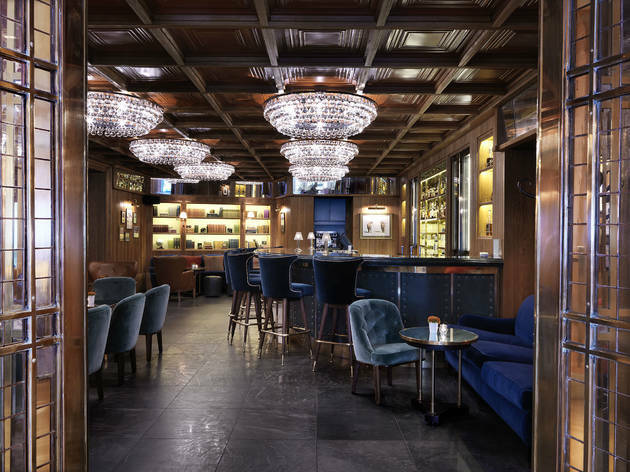 Launched in February 2016, K Bar is inspired by the sophisticated atmosphere of a gentlemen's club. Deep grained oak panelling line the space which is softened by racing green and royal blue upholstery. Dimly lit lighting and accents of polished brass create a warm and inviting space. My new jewel in the centre of queensgate London, The bar and the interiors is well decorated and the ambience is top notch. We came here for a drink before dinner and ended up changing our plans and stayed here instead till late night. The servers are really friendly too and the bar food is delicious. An Amazing and well designed cocktail and whisky bar, The food is awesome too. My personal preference was the kensington burger followed by a maallan gold in the end for truly crisp adventure on your tongue. the mixologists here are one of the best and friendly too. 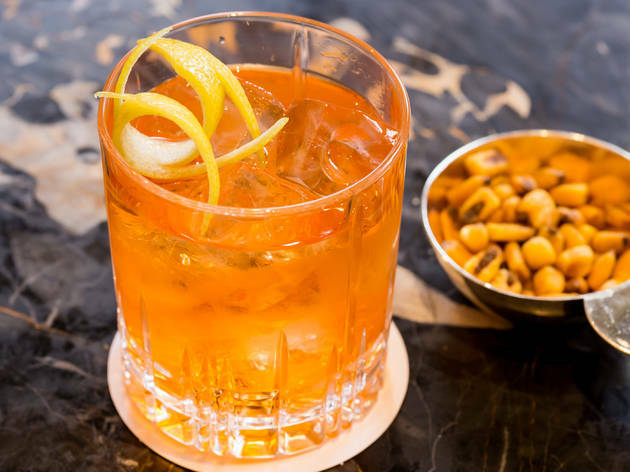 It may not have the same level of fame as it’s siblings around Knightsbridge and Kensington, but K Bar can certainly stand up on its own as one of the best bars around. 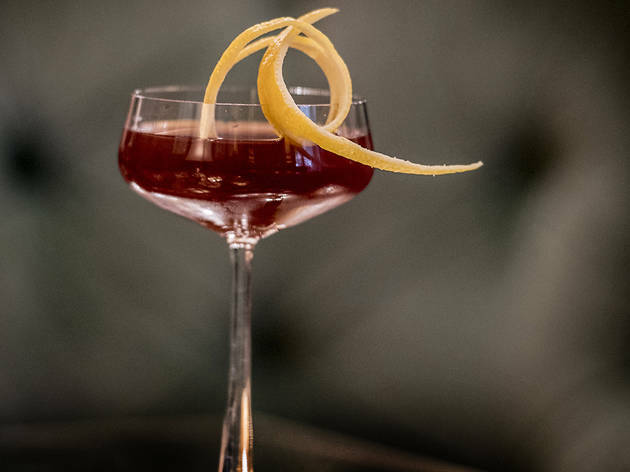 Here’s why the K Bar is one of my favourite bars in London. 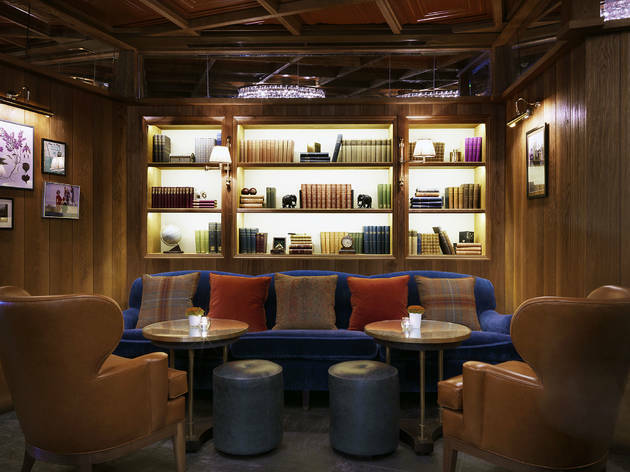 Located mere minutes away from South Kensington tube station, K Bar is an accessible townhouse-style hotel in the residential side of affluent Kensington. The moment you walk in, you hear the unmistakable sound of a lively bar with people enjoying themselves while a live band brings you under their spell with their jazz and blues tunes. As soon as I left my bag and jacket with the kindly concierge and turned into the bar, the decor of the K Bar reminded me of the halcyon days of the 1930’s - a sure sign that cocktails are taken very seriously here. I’m happy to report that the drinks certainly disappointed and I happily sunk back on the plush couch that lined against the walls. Just what the doctor ordered after a very long day at work. The table service was excellent as you’d expect and it's not the biggest bar in the world so booking a table in advance is advised as always. In short, the K Bar get’s a solid 5/5 from me. 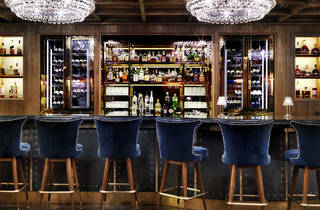 There’s something that this brilliant townhouse hotel bar has over the bigger hotel names ((The Ritz et al.). It’s cosy, intimate, it’s as if you've walked into some posh dude's house. The only thing is, you're invited. If you are looking for a good cocktail this is the place it is not one of those cheesy little English pubs on every corner. The bartenders are the stars here and both of the last times I've been, I've described the sorts of flavours I like and they've come up with something amazing off menu. Yesterday I was in the mood for a scotch-based something not too sweet or fruity, and he suggested a cool drink which was like a lemony Old Fashioned with absinthe that gave it an aniseedy aftertaste. Sublime! Where do you begin with a review from this place we were both speechless and it lived up to the hype for us. If you plan to go we highly and mean highly recommend a reservation as it's not to big inside and people sit for long times to enjoy the delicious drinks. I love how they course it out so you start with something sweet, have something fun and then finish with beautiful presentation. As soon as I stepped into the K Bar, I felt at home. Comfy sofa-style seating, wood panelled walls and golden, chandelier-strewn decor, it evokes 1920s glamour mixed with Gentleman's Club comfort. 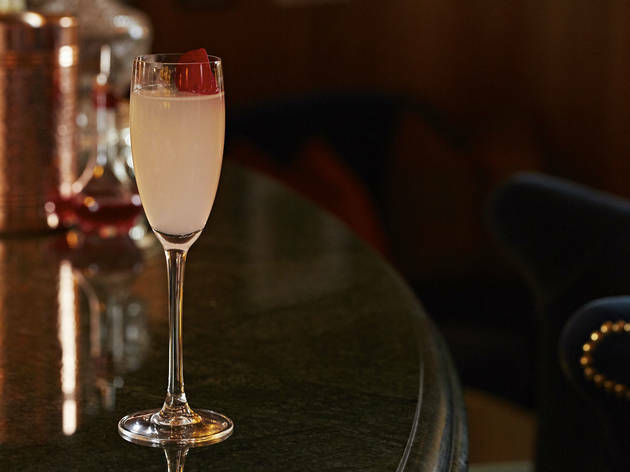 The cocktail list is appealing and not too expensive for a London hotel, with options in the £11-14 range. My sidecar was prettily presented and tasty - with just enough of a sour kick. It slipped down very easily in such beautiful surroundings. 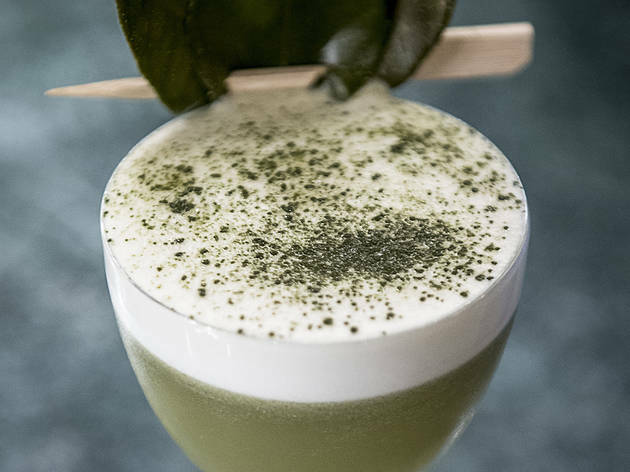 I rarely have a need for a fancy cocktail bar in Kensington, but when I do, K Bar will be top of the list! My colleague brought me there for a (boozy) meeting, and being a pub type of woman I was expecting very expensive drinks and depressing decoration and atmosphere, but the K Bar proved me wrong and shook my stereotypes (shame on me). 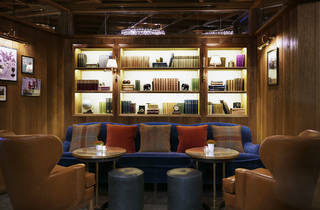 This hotel bar is lovely, with comfortable sofas, away from the South Ken busy high street so perfect for a date, family drinks or, like me, a business meeting (there is wifi). Cocktails are really good, made by pros, and cost between £10 and £12.5. Prosseco was nice and cold, at £7.5 a glass, it is a nice and not-too-expensive treat compared to other parts of London. Great food and great selection of cocktails, I was here because of the sip smith band playing and the experience was great.